In the accompanying list, the topographical arrangement has been continued for those meteorites of which the circumstances of the fall are without satisfactory record. This mode of arrangement brings near together fragments which have been found in the same district at different times; in some cases they belong to the same meteoritic fall. 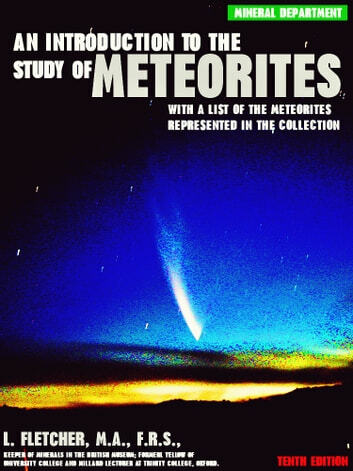 As the dates of discovery of the masses and the dates of recognition of meteoric origin, upon which other lists of meteorites are based, have been stated very differently in the publications of the principal museums, a reference in each instance to the best available report, and a brief extract from it, are given. 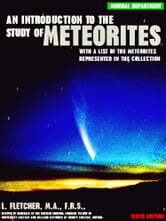 Even as regards the dates of fall of the remaining meteorites there has been much discrepancy in the various lists: every case in which the date here given has been found to differ from that recorded in any other list has been verified by reference to the published reports of the fall.